In mid-January, both European and US numerical weather predication models began to show the possibility of a severe winter storm that would impact the US East Coast. These predictions came to fruition as the storm dumped 18+ inches of snow over an area stretching from Kentucky to New York City on January 23-24. Areas in West Virginia and western Maryland received as much as 40 inches of snow,while most of major northeastern cities approached or broke their previous snowfall records. STAR JPSS scientists have provided high resolution images and product maps covering the impacts of this blizzard for the Northeastern US. A webpage including the latest imagery can be found at http://www.star.nesdis.noaa.gov/jpss/Blizzard2016.php. This webpage allows for viewing and comparing the surface conditions before and after Blizzard 2016. VIIRS visible imagery and many JPSS products including the snow impacts on coastasl turbidity are collected on the website. A sample map of the GET-D weekly composite product. Reds shot drier areas, and greens are wetter. After about two and a half years development, the GOES Evapotranspiration and Drought Product (GET-D) System has passed the Operational Readiness Review on February 5, 2016 and is approved to go to operation by the SPSRB on February 17. The GET-D system uses observations of solar insolation and land surface temperature from NOAA GOES-East and GOES-West Imagers to derive daily evapotranspiration over North America during clear conditions. The daily evapotranspiration (ET) is needed for validation of the ET simulations of the numerical weather prediction models used by NCEP. The daily ET is further used to derive an Evaporative Stress Index (ESI) which is an indication of soil moisture status. Negative anomalies of ESI compared to climatology are in turn indications agricultural drought. 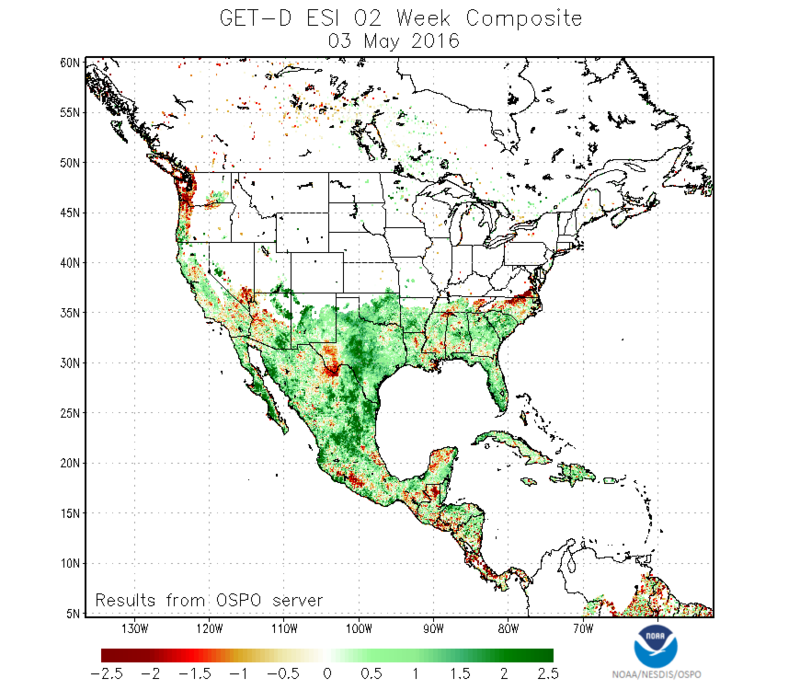 The ESI drought monitoring products have been used to NCEP CPC monthly drought briefing and the National Integrated Drought Information System (NIDIS) that is currently the most used drought information sources for the United State and the world. The operational GET-D will provide NIDIS seamlessly with drought information independent from almost all other drought information sources. The GET-D system is developed by STAR scientists and will be operational at OSPO. 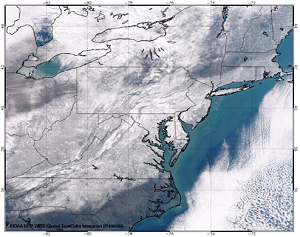 GOES Fog Detection product images at 1300 UTC January 9, 2015. Yellow shading (BTD < -2 K) represents fog while blue shading (BTD > 3 K) represents high-altitude ice (i.e. cirrus) clouds. 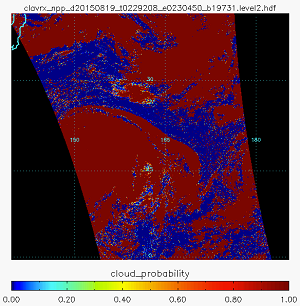 The STAR JPSS Aerosol team has completed development of the new algorithms for Aerosol Aprticle Size Parameter and Aerosol Optical depth. The new algorithm provides improved accuracy for high AOD events. It also extends retrievals to bright surface, making the product more useful to stakeholders and to downstream products. K. Pryor has generated and delivered GOES Fog Detection product imagery and datasets for an ice fog event over the Salt Lake City metropolitan area that occurred on January 9, 2015 in support of the Mountain Terrain Atmospheric Modeling and Observations (MATERHORN) program. MATERHORN is a joint effort between the Naval Postgraduate School, University of Notre Dame, University of California, University of Utah, and University of Virginia designed to investigate complex-terrain meteorology over diverse scales, topography, and forcing mechanisms. During this fog event, the GOES Fog product, derived from the brightness temperature difference between GOES-15 band 2 (SWIR) and band 4 (LWIR), effectively distinguished regions of fog from regions of clear skies in the Salt Lake City area. 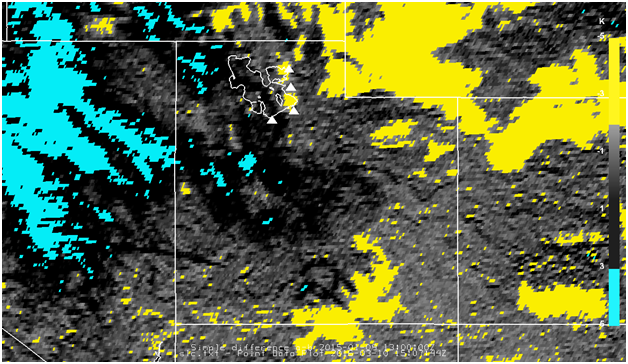 Figure 2 shows fog detected by GOES near Salt Lake City International ("SLC") and Brigham City ("BMC") airports where visibilities were observed to be less than two miles in fog at 1300 UTC. Near that time at Ogden airport ("OGD"), no fog was indicated by GOES, with a surface weather observation of clear skies and unrestricted visibility. 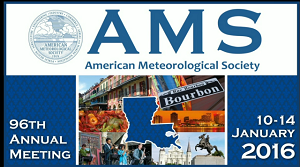 January 11-14, 2015 - Members of SMCD as well as the broader meteorological community gathered in New Orleans for the AMS Annual Meeting. SMCD participation was strong, with 35 SMCD employees presenting posters or oral presentations (along with many more co-authors), and 4 sessions chaired by SMCD personnel. In addition to these activities, four SMCD teams made presentations on the main NOAA display screen in the exhibition hall discussing ATMS, Aerosol, Land, and Soudings products. SMCD is planning for better demonstrations of the JPSS and GOES-R products and their applications in the future conferences through charing the session, presenting the state-of-art remote sensing algorithms and the product applications. 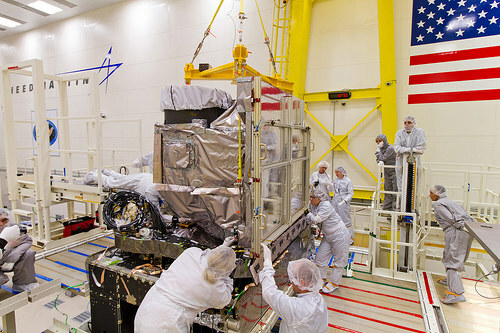 Ball Aerospace technicians lower the ATMS instrument onto the JPSS-1 spacecraft. Credit: Ball Aerospace & Technologies Corp..
January 27 - SMCD Chief Fuzhong Weng attended the JPSS-1 ATMS Post-Ship Review. In the meeting representatives of the instrument designer, Northrop Grumann presented a thorough review of assembly, including the demonstration of instrument readiness for spacecraft environmental test, the review of the instrument performance, interfaces, and history,demonstration of instrument requirements, and the review of waivers, open items, and residual risks. In the review presentation the results of the instrumental testing that includes bench, vibration, alignment, EMI/EMC, thermal vacuum, noise, radiometric accuracy, and final CPT were discussed. Overall, all instrument level testing has been completed. The issues identified in 2014 TVAC testing have been successfully resolved. All instrument level key performance parameters have been verified to meet the requirements. For all open issues plans are in place for closure. 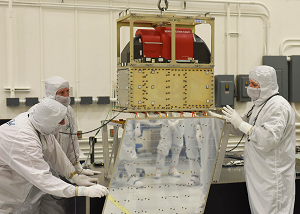 It was also mentioned in the PSR that the instrument has been delivered to the spacecraft and successfully integrated for additional testing. Members of the CEOS Land Surface Imaging Virtual Constellation team met during a planning teleconference to discuss an upcoming meeting of the group (February 22-24, 2016, Frascati, Italy) and the three-year work plan. 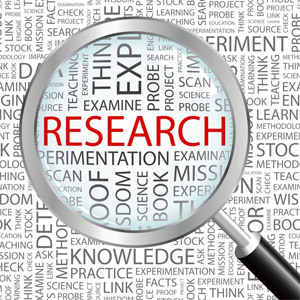 Proposed goals for the next year include; (i) Increase the visibility of land surface imaging data holdings, (ii) Identification of gaps/opportunities for acquisition in support of the CEOS carbon Strategy, (iii) Definition of inter-comparable Analysis-Ready- Data for land surface imaging, and (vi) Engage in the implementation of trial Data Cubes. Yong Han was invited to attend the Meteosat Third Generation (MTG) Infrared Sounder (IRS) mission advisory group topical meeting on Level 1 processing. He gave the presentation with the title "CrIS Spectral and Radiometric Calibration". 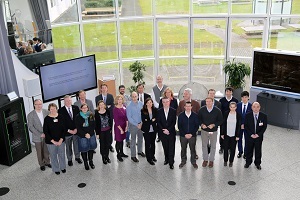 In this two- day meeting, 20 presentations were presented by people mainly from the EUMETSAT community, and discussions were focused on issues related to instrument design, L1 processing algorithms, data format and user requirements. The main outcome is the document that summarizes the recommendations and action items for the generation of level 1 IRS data with the level of quality required by the user community. IRS is an imaging Fourier Transform spectrometer based on a Michelson interferometer, two detector arrays (160x160), a scan mirror. 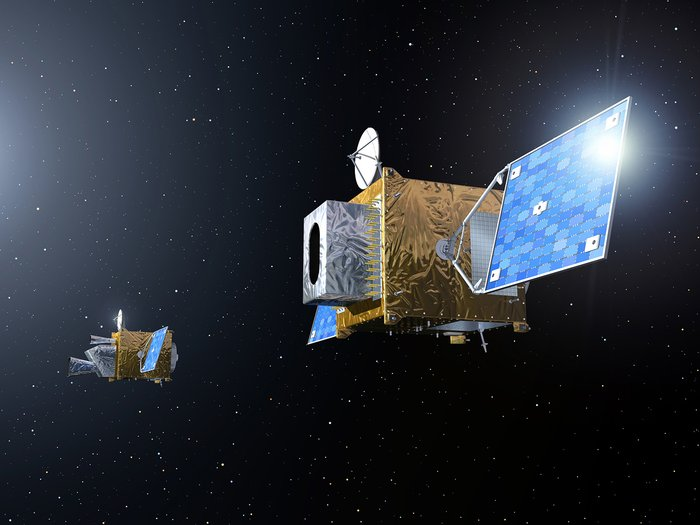 Each detector arrays covers 640x640 km2 with a single pixel size of 4 km2. The instrument measures radiation in the two spectral bands: LWIR (700-1210 cm-1) and MWIR (1600-2175 cm-1), with a uniform spectral resolution 0.625 cm-1. The first IRS onboard MTG will be launched into orbit in 2022. Installation of ABI FM1 onto GOES-R. FM3 will go on GOES-T. Image courtesy GOES-R Program. February 25 - The PSR for the ABI FM3 was conducted at the Harris/Exelis facility in Ft. Wayne, IN. ABI is a key payload for the GOES R-Series. X. Wu and B. Efremova, members of the GOES-R Calibration Working Group, attended the review and briefed the GOES-R Program Scientist prior to the review on CWG assessment of ABI FM3 science performance. An unprecedented section of this PSR was lessons learned from Advanced Himawari Imager (AHI), a similar instrument launched in October 2014 and currently operated by Japan Meteorological Agency (JMA). CWG members were instrumental in promoting the NOAA-JMA cooperation on advanced geostationary meteorological satellite programs that enabled these lessons learned. In particular, CWG led the discovery and characterization of 3.9 �m channel stray light that helped the identification of the root cause and the timely correction for all ABI FMs. Overall the Integrated Independent Review Team found that the instrument is stable; verifications have nearly completed; lessons learned have been properly applied; and the TVAC analyses were thorough. 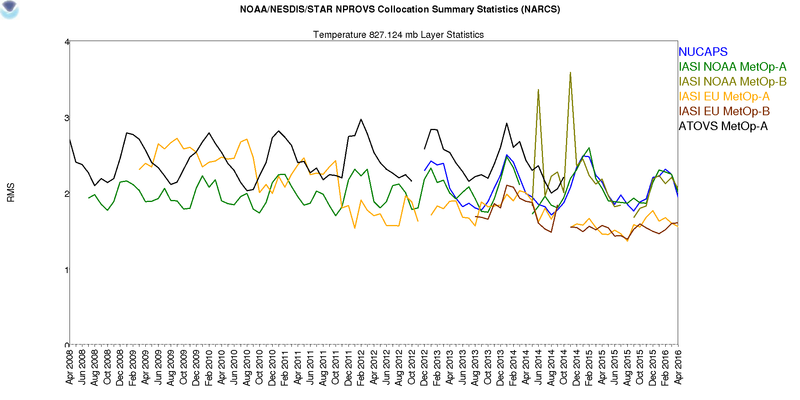 Sample plot from NPROVS showing comparisons between NUCAPS, IASI, and ATOVS at 827 mb over the time span of 2008-2015. February 22-26 - A.Reale was extended an invitation by Dr. Thomas August, Hyper spectral Sounders Level 2 Team Leader, Remote Sensing and Sounding Division, to visit EUMETSAT (Darmstadt, Germany) and provide training seminars on conducting atmospheric profile validation using the NOAA Products Validation System (NPROVS) developed and operated at STAR. Training was also extended to staff participating in an ongoing European Union Copernicus/Horizon-2020 Research and Innovative Programme proposal entitled "Gap Analysis for Integrated Atmospheric Environmental Climate Variable (ECV) Climate Monitoring (GAIA-CLIM)" to which NOAA contributes as a 3rd party with a focus on satellite collocations with reference observations from GCOS Reference Upper Air Network (GRUAN). The training consisted of 2-days of training focused on NPROVS+ applications relevant to GAIA-CLIM followed by 3-days of training focused on applications relevant to EUMETSAT hyper spectral sounder L2 products group. A photo of the core participants in the training is shown in the panel below. A. Reale also provided a general seminar to EUMETSAT staff on Friday, 26 February. High interest was evident to leverage NPROVS at EUMETSAT in ongoing projects focused on the analysis of atmospheric temperature and moisture sounding (geophysical and radiometeric) from satellites and the ground, including recommendation to consider establishing an NPROVS User Group (NUG). Consideration for follow-up training in conjunction with the planned EUMETSAT Satellite Conference and GCOS G-VAP Working Group activities in Darmstadt later this year is pending. The CEOS Working Group on Calibraiton/Validation (WGCV) will hold its 40th plenary March 14-18 in Canberra, Ausatralia, sponsored by the Geoscience Australia and Commonwealth Scientific and Industrial Research Organisation (CSIRO). Changyong Cao will attend the meeting as the NOAA WGCV representative and provide cal/val progress report. It is expected that at the meeting, the lastest status with recent satellite launches such as Sentenel 3A will be discussed, as well as progress in the radiometric calibration network sites. A joint session with the Working Group on Information Systems and Services (WGISS) is also on the agenda. Group photo of the attendees of the Annual Meeting of the GRWG+GDWG. 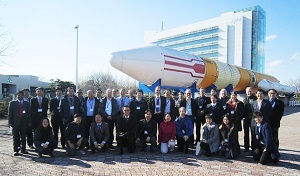 March 5, 2016 - Over 60 calibration scientists and researchers representing almost all of the major meteorological and space agencies operating Earth remote sensing satellite instruments attended the GSICS Research Working Group and Data Working Group (GRWG and GDWG) 2016 Annual Meeting at JAXA in Tsukuba and exchanged information on new results, methods, and instruments. The first day was taken up by a mini-workshop with emphases on the moon as a calibration target and on calibration comparison results for recently launched JAXA and JMA instruments. Major accomplishments reported and discussed in the rest of the meeting include the first operational products from EUMETSAT and progress on new demonstration products from the Chinese Meteorological Agency (CMA), the Korean Meteorological Agency (KMA), and the Indian Meteorological Department (IMD). Calibration comparisons using the Deep Convective Cloud (DCC) method dominated the special session on visible sensors. NOAA products will begin demonstrating this new approach. L. Flynn, the GSICS Coodination Center Director and UV Subgroup Vice- chair, provided four talks on the GCC Annual Report, defining GSCIS products, the GSICS Users� Workshop and solar ultraviolet References. 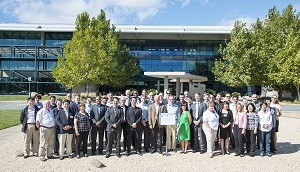 Group photo of the attendees of the CEOS DWG Meeting in Bonn, Germany. March 8-10, 2016 - B. Kuligowski attended 5th meeting of the CEOS Working Group on Disasters, hosted by Deutsches Zentrum f�r Luft- und Raumfahrt (DLR) in Bonn, Germany. As the co-chair of the Thematic Pilot for Floods, he presented an update on Flood Pilot activities during the past 6 months and participated in discussions on how the activities of the Pilot might be maintained after the Pilot period ends in December 2017. Importance: The purpose of this working group is to enhance the use of earth observation (EO) data in disaster risk management by strengthening the linkages among satellite data providers, the creators of value-added products, and the potential users of those products. Three pilot projects focusing on floods, seismic hazards, and volcanoes are coordinating and leveraging ongoing efforts to provide relevant EO data to users and to develop and strengthen their capacity to use these data in decision-making; an additional Pilot for landslides was recently initiated. In addition, a recovery observatory has been created to improve the use of EO data in longer-term recovery after a disaster occurs. The intent is for these Pilots to lead to a sustained effort to make better use of EO data in managing, responding to, and recovering from flood disasters. A sample of the Entireprise Cloud Mask output, which uses a 0-1 Cloud Probablity scale, instead of the standard 4-level mask Warmer colors represent a higher probability of cloud cover in a given pixel..
March 30-31, 2016 - STAR JPSS Management hosted the STAR JPSS Enterprise Algorithms Workshop at NCWCP. Science teams and corresponding stakeholders met to discuss current status of L2 JPSS products as well as their progress and plans toward Enterprise Algorithm development. Identified risks and review items will be compiled and circulated with the conference report. Presentations are available at the conference website.